Disneyland’s Club 33 will reopen July 18 after a massive renovation that has doubled the size of the club and transformed the theming. For all of the information on the renovation, scroll down to read the original article with all of the info. Update July 16: The new main door to the club resembles the classic entrance, painted in the same go-away-green color that Disney uses to cover up the places that they don’t want regular guest to pay attention to. See the new logo etched into the glass above the door. 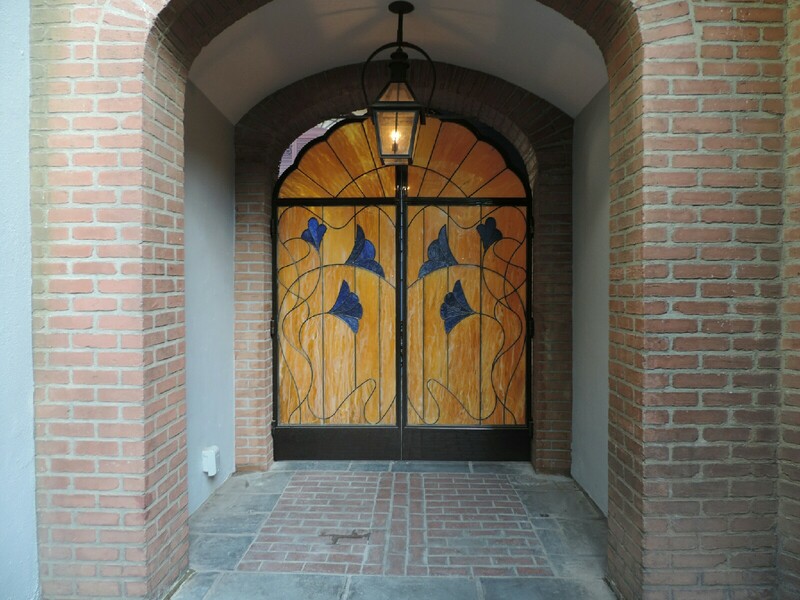 Update July 13: The new stained glass doors blocking the old entrance to the Court of Angels are now visible. While I am still very disappointed that they closed the area, the beautiful stained glass is a nice touch. It looks like these doors can still be opened, and perhaps they will be during large Club functions. Also, previously there were benches in this alcove. I wonder if they will return? The reservations for unaccompanied guests may only be made 14 days in advance, except for when the meal is on a Friday, Saturday, or Sunday when reservations can only be made three days in advance. No large party bookings may be made for the rest of this year. Chef Andrew Sutton is now the new executive Chef for Club 33. Chef Sutton is also the Executive Chef for the Carthay Circle Restaurant and Napa Rose. He replaces Chef Marcel who is now the Head Chef of Steakhouse 55 at the Disneyland Hotel. No reservation is needed for the new Jazz lounge, but members are limited to four guests at a time. This new system will make it even harder for the general public to get a reservation to the coveted Club 33 each member now only has 20 reservations to give a year. Also, the reservations themselves will be difficult to make because members have the ability to book so much farther in advance than members who are trying to book a meal for their nonmember friends. 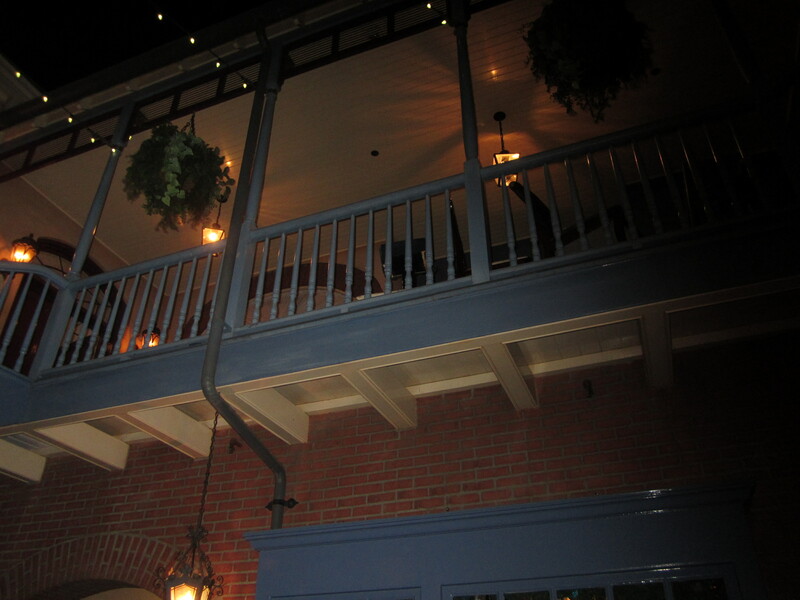 Remember that you can always join a Club 33 member for dinner, which doesn’t count towards their sum of 20 reservations. The goal of the new system is to make Club 33 more of a community, giving the members the ability to always get a reservation. With the opening of the new Club will be the inspired new Jazz Club lounge open to all levels of Club 33 members. Scroll down for all info on this new piece of the Club. If you missed it, a new logo for the club was released recently. Click here to see it side-by-side with the old logo. That’s all the information that we have today. Hopefully we will have photos for you when the Club opens on July 18. Below is the original article with all information on the Club 33 Renovation published in late 2013. Recently, Mr. Michael Colglazier, the President of Disneyland, sent out a note to all Club 33 members stating that Club 33 would be going under heavy renovation over the next couple of months. See the full article about the letter and about our early coverage of the expansion, here. What he didn’t say was what type of renovation Club 33 would go through. There has been lots of speculation online, that the Club would be closed, but no one knew when it would happen or the exact details. President Colglazier did mention that a preview center would open for Club 33 members to see the additions to the Club. The preview center opened Monday the 9th of September 2013. An anonymous Club 33 member sent me information regarding the changes featured in the preview center. He was also the bearer of bad tidings for many Disney fans. What I learned was that the Court of Angels will in fact be closing to the public and will be turned into a lobby for Club 33. Previously, I had been led to believe that the Court of Angels would remain accessible to all Disney fans, but sadly that is not true. The widened hall will be split in two, to separate servers from guests in the hallway. There will be a Club 33 merchandise case at the Grand Californian during construction. Unfortunately only open to members. The new elevator will be where the old bathrooms are. The bathrooms will be relocated to the location just to the left at the top of the Court. The iron gates that close the court off will be preserved with the exception of glass being added. The balcony at the top of the stairs will continue on to the club and there will be an additional check in desk at the right entry to Salon Nouveau. The new dining room will be referred to as Le Grand Salon. Gone are the swags in the drapes. Simple panels will frame the new windows. The chairs and table will also change, the upholstery will have a blue paisley print on white background, and the floor will be lighter. Murals of the Louisiana landscape will be on the hallway walls. They light fixture in the entry area will look like a piece of jewelry. 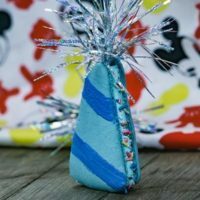 It will include stringed bugle beads, tinsel or fringe swirling like a wave. Club 33 management was very excited to see this happen. Salon Nouveau is green and red. The fabric swatches were a red silk with harlequin stitch pattern, a deep green velvet and as I can recall a deep red velvet. There is a large center iron encased skylight the spans the length of the club ( it looked domed). I could figure out the orientation by the illustrations even though the plans were there as well as the inspiration boards. 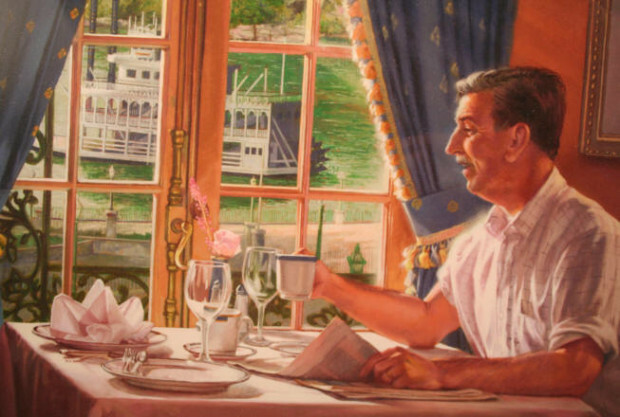 Club administration showed original renderings of the club and inspirations for it, much of the changes are directly taken from the time that Mr. Disney was still alive. The gates into the Court of Angels will be replaced by opaque glass and will be walled off from the public. Some rumors said that the area would have a roof added, but that is NOT true. The walkway at the top of the stairs that is pictured below will be widened to make for a grander entryway. The stairwell will remain the same. 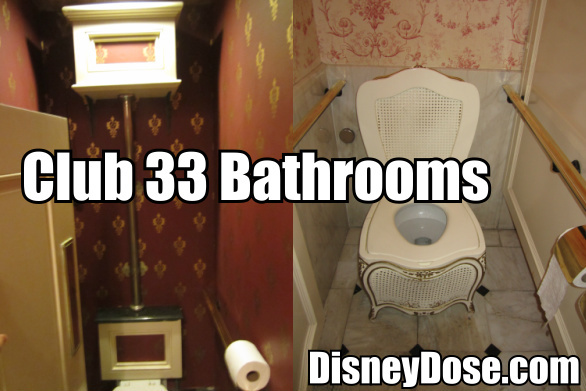 The famous Club 33 restroom toilets (seen below) will be relocated to new restroom. 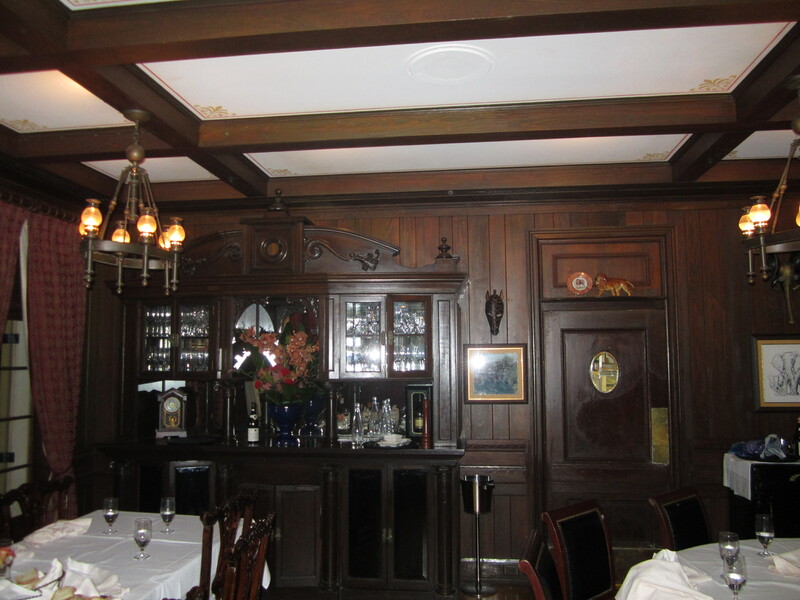 The Trophy Room will be removed to create a dedicated Club 33 kitchen. All Club 33 china and chairs will be removed and auctioned off to Club 33 members. The chairs will be replaced by wicker ones that provide a feeling of New Orleans. 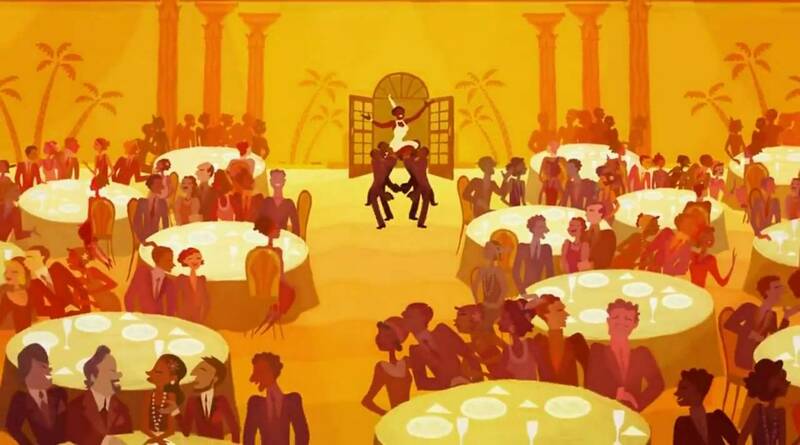 The new Jazz Club will be named Salon Nouveau and will be inspired by Tiana’s Palace, the Jazz Club seen at the end of the Princess and the Frog film. Salon Nouveau will be green and red. The fabric swatches were a red silk with harlequin stitch pattern, a deep green velvet and as I can recall a deep red velvet. There is a large center iron encased skylight the spans the length of the club ( it looked domed). I could figure out the orientation by the illustrations even though the plans were there as well as the inspiration boards. Some details are still coming to light, so take everything that we say and that all sites says with a grain of salt. We are still waiting on some details that are currently emerging. Two special areas of Disneyland’s past will be disappearing, the Trophy Room and the Court of Angels. We had a final visit to both locations two weeks ago during the 3 hours that we spent in Disneyland. I’ll post all of the photos from these two trips sometime before the areas close for renovation. The renovation will fix problems for both the general public and Club 33 members. Previously, when large parties were getting ready to visit Club 33, they had to line up outside along Royal Street. 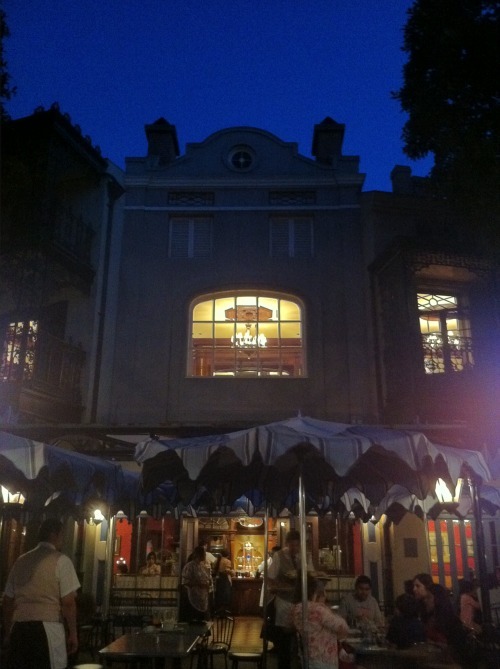 Consequently, the quaint area of New Orleans Square would get very full every time a large Club group came through. So, the reason that Disney decided to close off the Court of Angels was to keep the peace and serenity in the area. By removing the Trophy Room and adding a dedicated Club 33 kitchen, Club 33 will be able to have even more signature dishes that it’s patrons will be able to write home about. The Club will no longer have to share a kitchen with the Blue Bayou Restaurant. 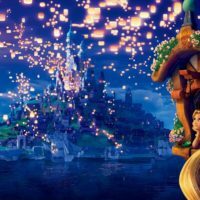 Nothing that anyone does or says about the Court of Angels closing will change what Disney does now. 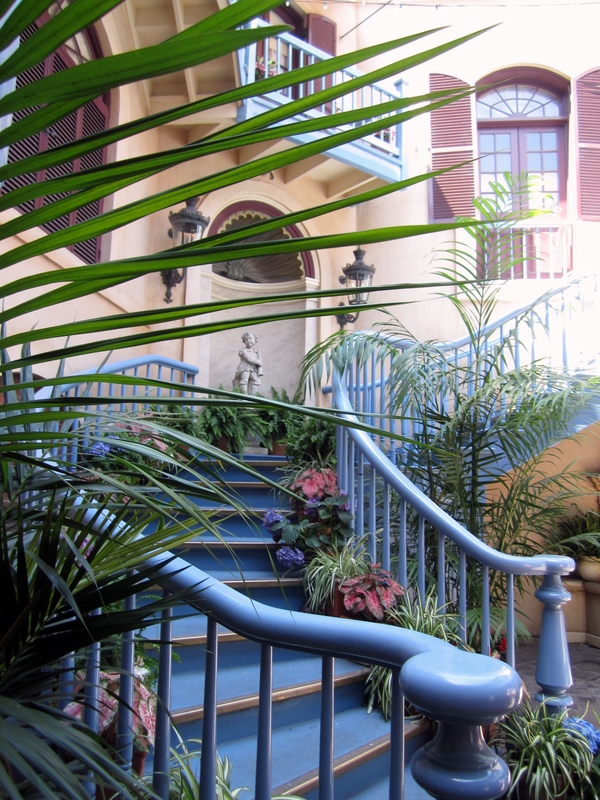 The Court of Angels is one more reason to visit Club 33. For the members, the experience of the Club is just that much better, and for the people who treasure their once in a lifetime visits (that’s you and me), you will now have something very special to look forward to, seeing your old friend the Court of Angels. For Club 33 information updates, sign up here. What is your opinion of the expansion? This just breaks my heart. Not everyone (including myself) will ever have an opportunity to visit Club33. I dont know anybody personally that is a member, nor will I ever be able to afford to become a member so any opportunity for me to see this wonderful area again is slim to none. The Court of Angels has always been our favorite hidden spot for our traditional family photo throughout several generations. I expected that my children would be bringing their own children here someday for the very same traditional family photos. This just sickens me to think that I wont be able to visit a location that previous family members who have since passed away, once stood. Disney for me has always been about family tradition, the sights and the smells always evoke such wonderful memories. More and more, Disney is taking away bit by bit of those wonderful sights and smells, kind of makes me think twice as to why I should be instilling the importance of tradition onto my children. Sad, just sad is all I have left to say. You make very good points. Hopefully you will have the chance to see the Court of Angels one more time before it is closed. Imagine the innumerable tales like yours of places in Disneyland that no longer exist. The number of the place you chose finally came up. 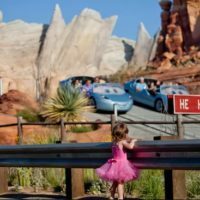 The tradition of family in Disneyland as it has always been cannot be mistaken for the concept that Disneyland should become a museum to its own permanence. There is no better way to ensure that the entire ship sink. You will well recall Walt’s own quote about Disneyland never being completed. Indeed, areas were torn down to produce the particular courtyard that you would have remain permanent. In this case, I understand your duress at an area being ostensibly usurped for the joy of others. The important notion is that this area is changing. For better or worse, it is changing. And you must know that there is no guarantee that it will remain for them, either. I do not forsake your personal loss– but you must accept this as you would accept the loss of a loved one. No place in Disneyland is so sacred that it is not subject to change. This is at Walt’s insistence. He held not one spot in the park as holy. Were he alive today, we would likely have a fancy new castle by now– one he couldn’t have afforded in 1955. See more comment about the Club changes on our Facebook page. Well said! When it costs $750 for a family of 5 to have a one-day park hopper pass each, you know that Walt Disney is rolling over in his grave. He wanted to Disneyland to be affordable for families. The Disney company is not hurting for money. They could reduce the cost of going to Disneyland, but choose to have more money in their pockets. Shame on them. You are quite mistaken about the Club ever having shared a kitchen, or indeed, direct adjacency, with the that of the Blue Bayou Restaurant. As a former Club Cast Member, I can attest that the Club kitchen has always, to-date, been located in the space between what is currently the Dream Suite and the Trophy Room. This locates the Club kitchen above the 21 Royal courtyard entrance, the Pieces of Eight shop, and the exit portal to Pirates of the Caribbean. The keen observer will note the lack of windows in these areas. The windows then resume in the Trophy Room– above the lobby of the Blue Bayou at 31 Royal. I am not 100% sure the entire design for the new lounge was influenced by Tiana’s as much as the French Market inspired Tiana’s in the film. 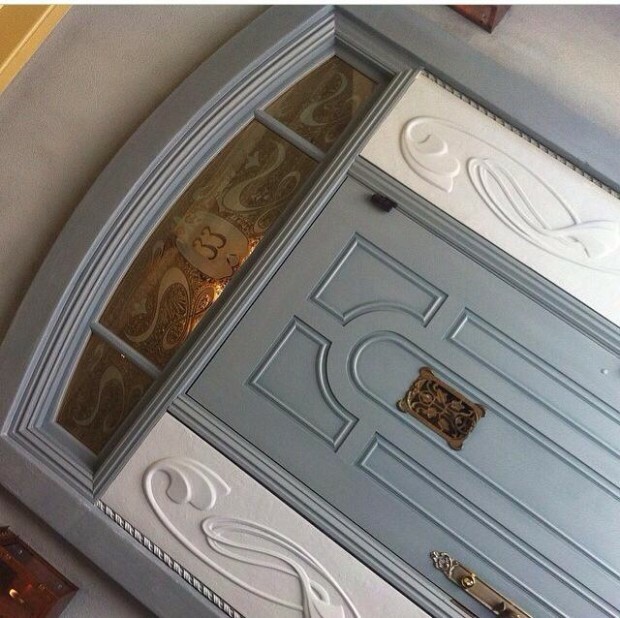 This club will be art nouveau inspired and the furniture, lighting and overall atmosphere will reflect that aspect. Again, not sure why Disney would theme the venue to a film that was not that commercially well received….I think that was lost in translation as that is not what I heard. Those images in the preview center were referenced more for the association the market had in the film. What has not been covered is the amazing views the new lounge will have into the park. The windows you see above the French Market today are what guest to louge will be able to look down into the park. The Court is going to be more holding area than lobby as there will be limited space in the lobby upstairs. Currently, there is no plan for beverage service in the court yard. The existing elevator will cease to exist as it can not easily accommodate a wheelchair. The current lift will be available as a photo op somewhere in the new lobby upstairs along with the phone booth, AA vulture from the Trophy Room, new and expanded merchandise case and a check in desk for the lounge and dining room. There will be a new WDI designed elevator that will fit the theme of the area to take guest to the second floor. There will be a new logo for 33 and the costumes for the cast will also be re-designed. What hasn’t been mentioned are the changes to the main dining room which are many. As for those who question the changes and Walt’s legacy…..need only to look to his words that the park will never be completed. Many things that were beloved by many have been removed to make room for new additions over the years. The closure of the Court is an example of that fact. In addition Disneyland was built to make money and by enhancing the Club 33 experience…that is what the company is doing….making money. Change is hard to accept and it appears for the die-hard Disney fan it is even harder. If the parks did not change they would soon become a time capsule and a museum and not the evolving and engaging experience that was the original intention. What does it mean by “20 reservations”? If you have an unaccompanied group of 5 people, will that take up 5 of the 20 reservations or only 1 of the reservations? 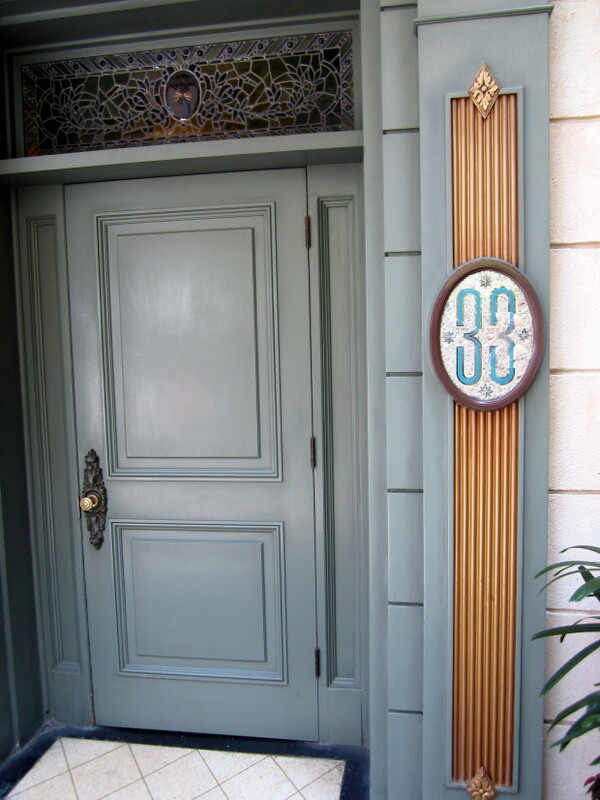 Do you know or will this probably be answered when guests are able to get in Club 33? Jason, I’m sorry that I don’t have the answer for you. The answer will be available once the club is reopened in a few weeks. There is no other way to visit the club. My only suggestion would be to post something on Craigslist Orange County or post on MiceChat. Both of these places have worked for people in the past. Good luck!